A very meaningful date for the Holy Cross Province was April 7, 2017. 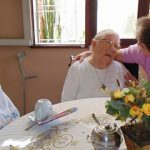 After concluding their retreat with thirty other sisters, two young women were welcomed to begin their novitiate. Their reception took place during a simple but beautiful Mass in the Casa Santa Cruz chapel. 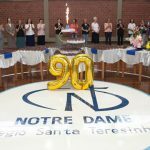 Sister Lurde Maria Aparecida de Souza, from Bahia state, found out about the Sisters of Notre Dame through an internet research in 2013. Her interest in our Congregation rests on the outstanding Marian feature. She chose as motto for her journey, “Praise the Lord … because He has confirmed how much He loves us. And His love endures forever” (Psalm 117). 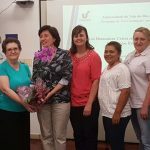 Sister Maria Ana Laura de Castro Gomes, from Acre state, met the sisters who ministered in her town and was called to do something more for the service of others. 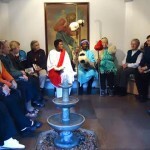 She chose as motto for her journey, “Whoever wants to become great among you, must be your servant” (Mt 20:26). 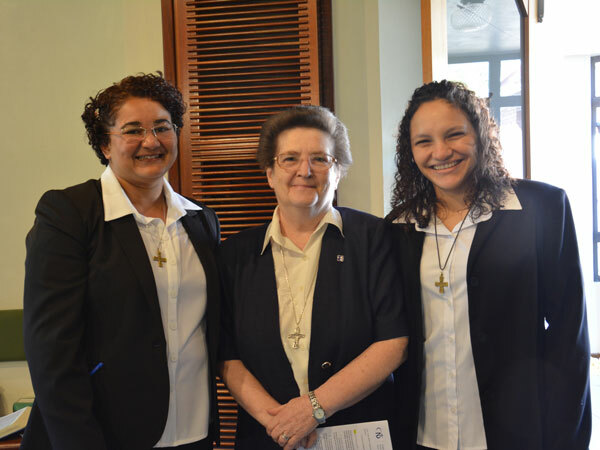 We are grateful to God for these young women, who have heard the Lord´s call and are giving their response by following Jesus Christ as Sisters of Notre Dame. We count on your prayers. God granted us these young women. The following text, whose author is a Brazilian musician, was sung by the two new novices at the end of the entrance ceremony. The lyrics, expressing absolute confidence in God and his providence, allude to Sister M. Aloysia´s expression, “The dear God has always taken care and will certainly continue to do so” (Oct 25, 1886). It is with this certainty that the two novices start their novitiate formation. He will lead us, too. and will certainly not abandon us. and certainly from now on, He still will be. but there was also deep faith. If we need it, He will help us. and certainly from now on, he will ask ever more from us. His grace has called us, His love has sent us. Let us continue to seek his peace. The audio of the song can be accessed here.